When I was a kid I didn’t think about who my Grandpa John Hoffman’s grandpa was. Grandpa seemed far too old to ever have had a grandpa himself. 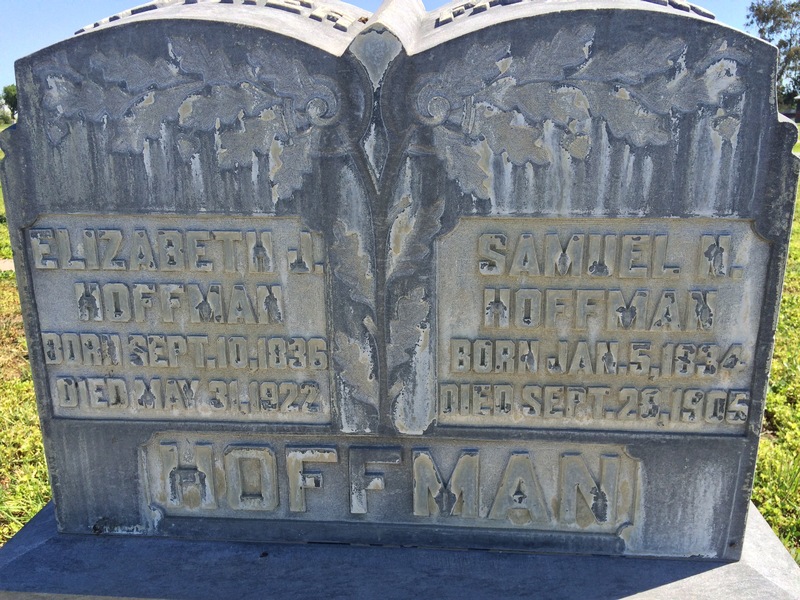 But Grandpa John did have a grandpa, and his name was Samuel Hoffman, and he was the first of my branch of Hoffmans to come out west. Samuel was born in 1834 in the state of Virginia, and he came to California sometime between 1870 and 1880 with his wife Elizabeth Jane Wade, and their three sons: Harvey W. Hoffman, Alvey Wade Hoffman, and Worthington Newcomer Hoffman (that name piqued my interest, and I did eventually learn about its origins). Those three boys were born in Maryland, just across the Potomac River from where Samuel grew up in Virginia. Samuel’s oldest son, Harvey W. Hoffman (1864-1930) was my great-grandfather. He married Nancy Bole (1868-1950), a native of California, in 1892 and they produced two sons: Harvey Virgil Hoffman (1893-1960) and John Wade Hoffman (1904-1975), who was my grandfather. I was able to trace the Hoffmans two generations further back from Samuel to a John Hoffman who was born in Shepherdstown, Virginia (now West Virginia) in 1760. This is where I had gotten stuck in my Hoffman research about a year ago, so I had set it aside and concentrated on other branches of the family. When my wife and I recently started planning a trip to the East Coast, I revisited my Hoffman research. I had always assumed Hoffman was a German name, so I was intrigued to learn that Shepherdstown, West Virginia, was an area that had had a large German population, many of whom were crafts people. As usual, I wanted to know the stories of my predecessors. Did they emigrate from Germany? From what part? When and why? Did they have a craft? What was it? Well, here it is 2016 and we don’t have the promised jet packs. But we do have the internet, so I plugged the desired information into the Google search engine and learned that modern-day Shepherdstown is a charming, historic college town. 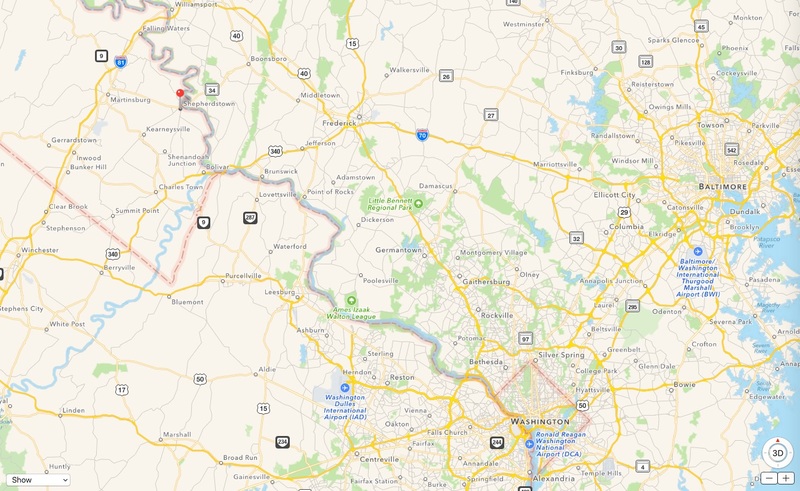 It is near the Chesapeake and Ohio Canal, now a National Historic Park (all 184.5 miles of it) as well as other historic sites such as Harpers Ferry and Antietam. Shepherd University is there, and has been there since 1871 when it was established as part of the state normal school system. 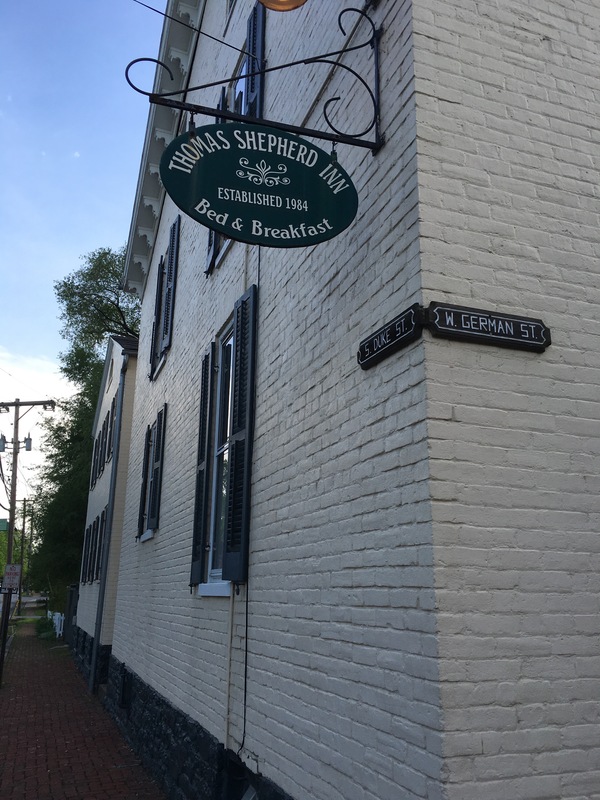 The more I read, the more I wanted to go there, and as it was within a couple hour’s drive of our other planned destinations—Annapolis and Washington D.C.—we booked a couple nights at the Thomas Shepherd Inn (a B&B within walking distance of many points of interest). 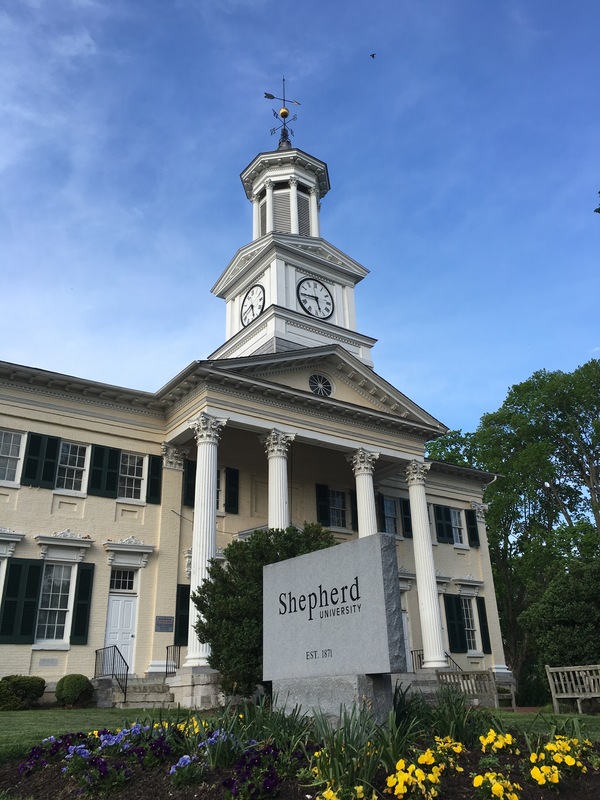 I contacted the Shepherdstown Museum and made an appointment to visit their archive. I emailed information about what I had discovered thus far about my family in the area, including family names I was looking for. I also knew (from the website Find A Grave) that any number of Hoffmans were buried in the Reformed Graveyard in Shepherdstown, so we planned to visit the cemetery as well (cemeteries have become a common destination in our travels). I crossed my fingers and hoped I might gather a few more scraps of information about the Hoffmans from the Shepherdstown archive. In the end our trip was wildly successful. Not only did my wife and I have a great time exploring, we learned some fascinating history about the area, and the documentation I found on my family was far better than I could have imagined—a real genealogical coup! Even in this age of the internet, it turns out there’s nothing as good as going right to the source. I’m so glad your family research took us to this part of the country! What a history field trip it was.